A poll reveals that viewers think The Castle represents Australians the best. Australia has a long and storied history, but some of its inhabitants still best identify with the concept of the working class family who sticks together to get what’s fair. Nearly 37 percent of people surveyed across Australia think The Castle shows the true Land Down Under due to its mix of good-natured characters who aren’t afraid to show their grit when it comes to getting what they feel they deserve. The poll was conducted by the Australia Day Council of NSW (ADCNSW). 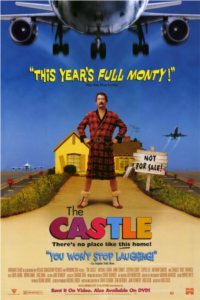 Released in 1997, The Castle portrays a working class family in Melbourne about the have their house taken away. About a quarter of survey participants voted the film’s lead character, Darryl Kerrigan, as their favourite Australian character in a film. The survey also asked Australians who they feel the country’s best leading actors are. Hugh Jackman came in first for the men, followed by Russell Crowe and Sam Worthington. For the ladies, Cate Blanchett beat out Nicole Kidman and Toni Collette for the top spot. Meanwhile, Australians picked former Prime Minister Bob Hawke as the politician they would like to appear with in a film. Do you think The Castle truly represents Australia best? Which Australian film or television show do you think is best tied to the way of life Down Under?